The rugged die-cast professional camera for reliable performance without the need of batteries under the most rugged working conditions „on location" such as travel photography, expeditions, adventure. 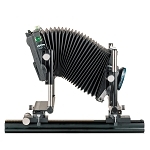 Ideal for hand-held use producing professional large format quality which can normally only be achieved with 5x7 in. 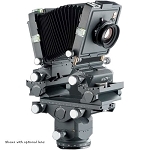 large format cameras (illustration: with Technorama Super-Angulon XL 5,6 / 72 and Protection Ring). 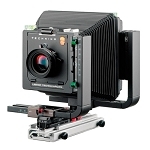 The Linhof Technorama 617s III Panoramic Camera is a 6 x 17cm format handheld camera that is compatible with both 120 and 220 roll film types for creating wide, expansive imagery in a 3:1 aspect ratio. The camera body is constructed from die-cast aluminum alloy and built to withstand harsh conditions and handling in nearly any circumstance. 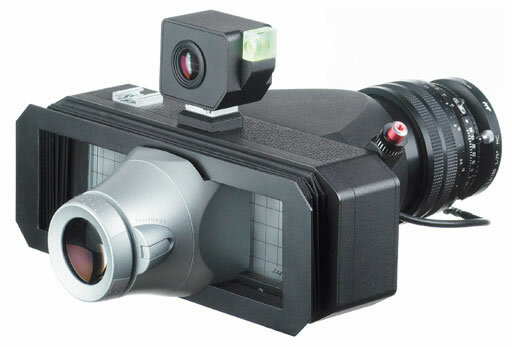 The unique camera system revolves around five distinct lenses and dedicated optical viewfinders for critical compositions and a range of perspectives to champion the elongated format that is well-suited to landscape, industrial, and architectural photography. Each of the lenses, ranging from a wide-angle 72mm f/5.6 to a telephoto-length 250mm f/5.6, is set within a dedicated helical focusing mount for precise control over focus. Since the lenses are centrally-mounted, horizon curvature is also eliminated, allowing for more naturally appearing panoramic images. 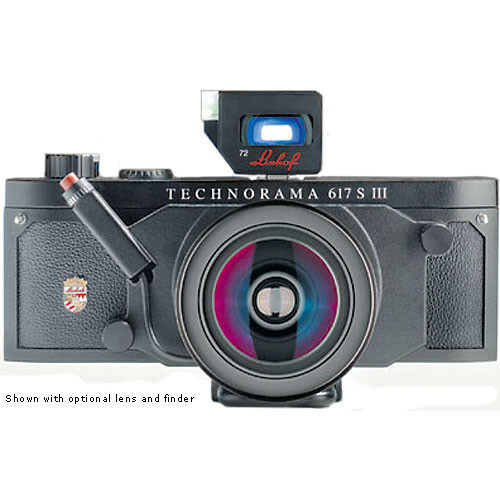 The Technorama 617s III integrates a dark slide system that permits the changing of lenses mid-roll, and each of the lenses is easily attached to the body by using front-mount knurled wheels. Also incorporated into the body are two accessory shoes; one is centrally located for use with the optical viewfinders and the other for mounting a flash or other shoe-mounted accessory. 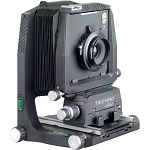 Panoramic 6 x 17cm format large format handheld camera. Accepts 120 or 220 roll film for taking either four or eight exposures per roll, respectively. Die-cast aluminum alloy body construction is lightweight while still offering rigidity and durability for use in all conditions. 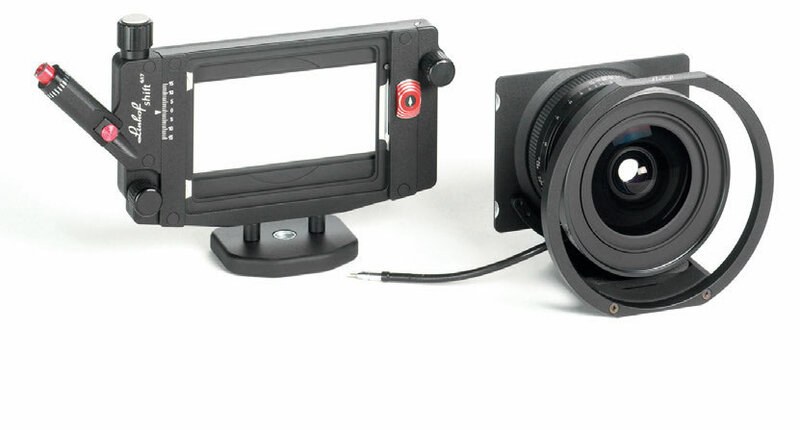 Dark slide system and red safety indicator on camera back permits mid-roll lens changing. Manual film counter and film winding knob. Compatible with five dedicated lenses and optical viewfinders.